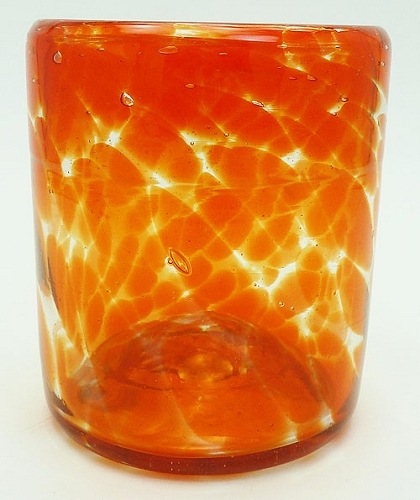 Our Orange Splash Rocks glass has a splash pattern blown into the glass. No two glasses will have the same pattern. The shades do sometimes vary from a tangerine shade to a bright orange shade. The glass pictured is the shade of color you will receive. This glass is only available in this Rocks size and the Hi Ball size. These glasses are fun, beautiful additions to our household! These are the most beautiful orange color. They remind me of a Mexican sunset. Heavy and excellent quality.